Nike Golf is laser-focused on gaining athlete insights to innovate with one thought in mind: Make everything better so golf athletes can perform at their best. The new Nike Lunar Control 3 shoe is no exception. Nike designers incorporated feedback from Rory McIlroy, the No. 1 golfer in the world, and created the ultimate lightweight performance golf shoe that is more stable and comfortable while maintaining lightweight control. For McIlroy, who has one of the most powerful golf swings on the planet, stability and control from the ground up are critical. Because of the rotating force in his swing, McIlroy challenged Nike designers to create a solution that provides better traction, prevents slipping and retains the control needed to generate power and speed. Nike designers responded by adding an extra spike on the newer model in the medial forefoot on the outsole and secondary traction elements in the Nike Lunar Control 3. 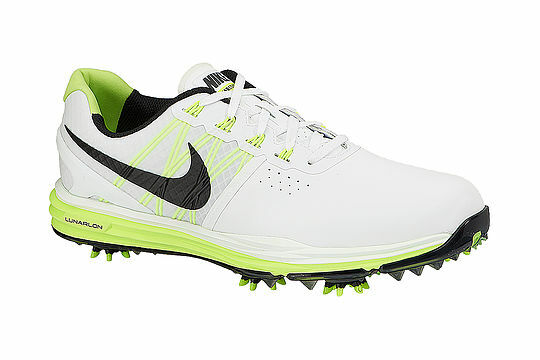 The Nike Lunar Control 3 also features a wider base for increased stability and to allow the golf athlete to maintain contact with the ground for as long as possible through impact. A carbon fiber midfoot shank also delivers lower, lighter and more stable control. Like its predecessors, the upper of the Nike Lunar Control 3 utilises Nike Flywire technology for adaptive lateral support while using more robust cables to help secure the foot effectively. The upper of the shoe is made from a microfiber synthetic to offer water resistance, better durability and a great fit right out of the box. In the midsole, the Nike Lunar Control 3 features a lighter and softer full-length Nike Lunarlon foam to deliver lightweight, responsive cushioning. The Nike Lunar Control 3 will be priced at an SRP of A$299.99 (NZ$339.99).